WASHINGTON — President Donald Trump said Thursday that he's canceling his trip later this month to a global forum in Switzerland because of the partial government shutdown, now in its 20th day. The president was scheduled to leave Jan. 21 to attend the World Economic Forum in Davos, an annual event that attracts high-profile business and political figures, plus thinkers, artists and other elites. 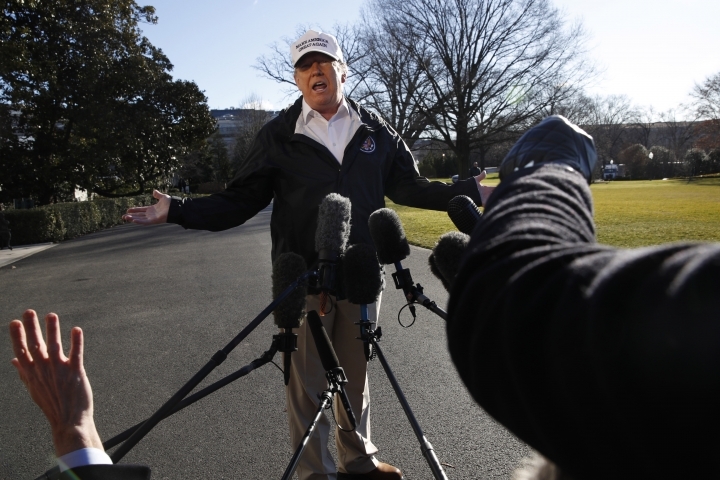 He blamed the cancellation on Democrats in Congress, saying they are unwilling to negotiate a resolution to the shutdown, which is hung up on Trump' demand for money to build a wall on the southern border. "Because of the Democrats intransigence on Border Security and the great importance of Safety for our Nation, I am respectfully cancelling my very important trip to Davos, Switzerland for the World Economic Forum," Trump tweeted. "My warmest regards and apologies to the @WEF!" 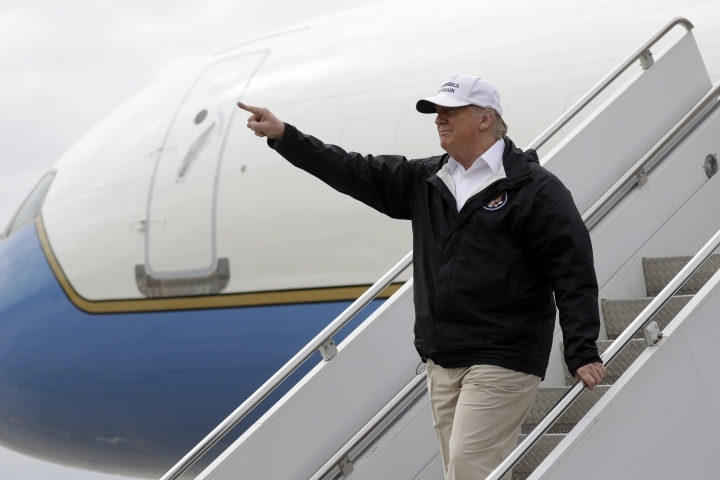 Trump said earlier Thursday that the trip was "still on" but that he would cancel if the shutdown over funding for a U.S.-Mexico border wall continued. He told reporters on the South Lawn that he wanted to attend and speak before the world financial community. Fewer than five hours later, he nixed the trip. But Trump has kept plans to travel to New Orleans on Monday to address the American Farm Bureau. Asked what he intended to say in Switzerland, Trump said he had a "great story" to tell. "We have the best job numbers we've ever had, in many ways," he said. "Certainly with African-Americans, with Hispanic, with Asian-Americans. And overall, we have the best job numbers in at least 50 years. The economy is incredible. We're negotiating and having tremendous success with China." He said it was easier to negotiate trade with China than talk to Democrats about border security and wall funding. "I find China, frankly, in many ways, to be far more honorable than Cryin' Chuck and Nancy. I really do," Trump said referring to Senate Democratic Leader Chuck Schumer and House Speaker Nancy Pelosi. "I think that China is actually much easier to deal with than the opposition party." Last year, a brief government shutdown threatened to derail his trip to Davos, but Trump ended up going to Switzerland and asserting in a speech that this "America First" agenda can go hand-in-hand with global cooperation. Treasury Secretary Steven Mnuchin, who is to lead the U.S. delegation, and other White House officials are still likely to attend the Jan. 22-25 event, a White House official said. Other top-level administration figures scheduled to attend include Secretary of State Mike Pompeo, Commerce Secretary Wilbur Ross, Transportation Secretary Elaine Chao, U.S. Trade Representative Robert Lighthizer and Homeland Security Secretary Kirstjen Nielsen. Trump's daughter Ivanka and son-in-law Jared Kushner - both senior advisers to Trump - also were to attend the forum.